LibreOffice is the power-packed free, libre and open source personal productivity suite for Windows, Macintosh and GNU/Linux, that gives you six feature-rich applications for all your document production and data processing needs: Writer, Calc, Impress, Draw, Math and Base. 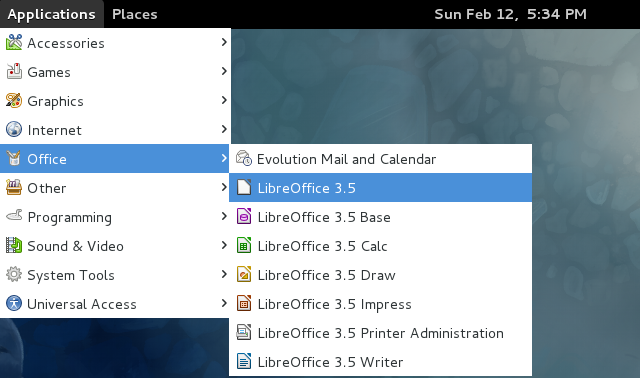 LibreOffices announces the 3.5.0 Final on 2012-02-14, Here is the tutorial about the installation of LibreOffice 3.5 on Fedora 16 /15. The first thing you need to Download LibreOffice rpm package from the LibreOffice. Open Terminal ( Applications —> System Tools —> Terminal). Install the LibreOffice RPM packages and desktop integration too. 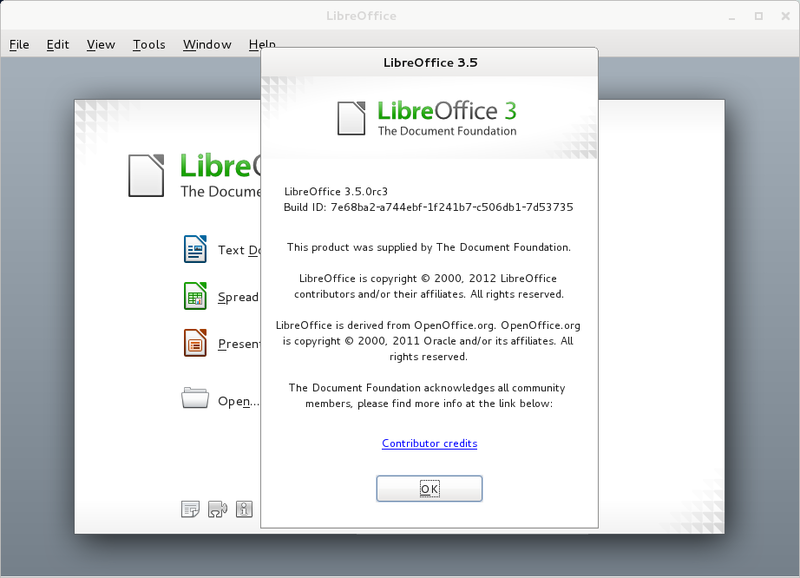 Start LibreOffice 3.5.0 ( Applications —-> Office ). Screen Shot of Libreoffice 3.5.0 on Fedora 16.